Wherever and whenever you’re listening, Studio 19 promises the richest experience and audio the way it was meant to be heard. 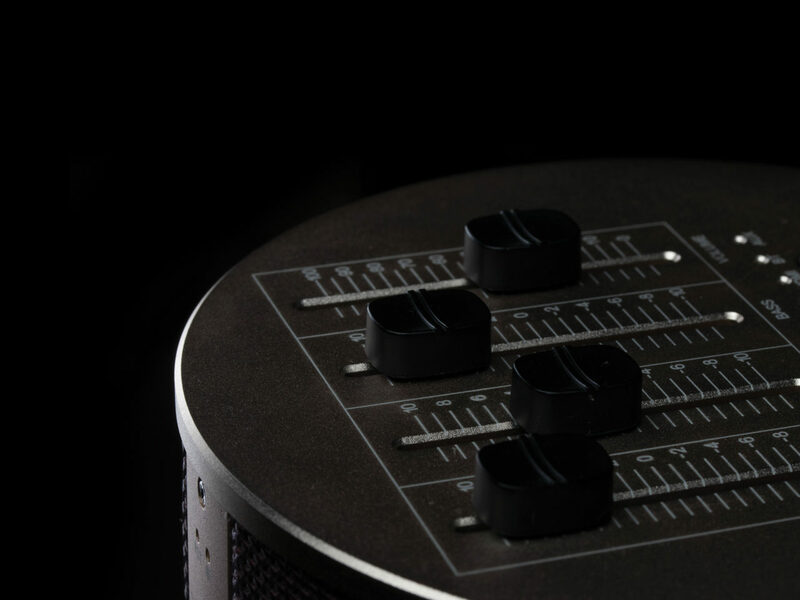 It’s a landmark of audio design and engineering, representing exceptional value for money. But, more importantly, it transforms what it means to listen – pure, uncompromised sound and absolute clarity in every detail. 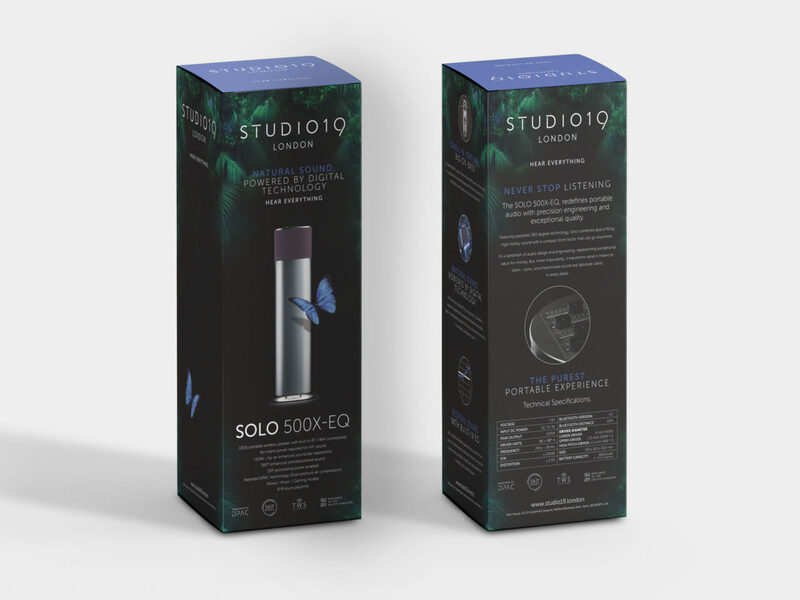 We were briefed to help Studio 19 create the brand identity, positioning, messaging and core marketing, product packaging and website for launch. 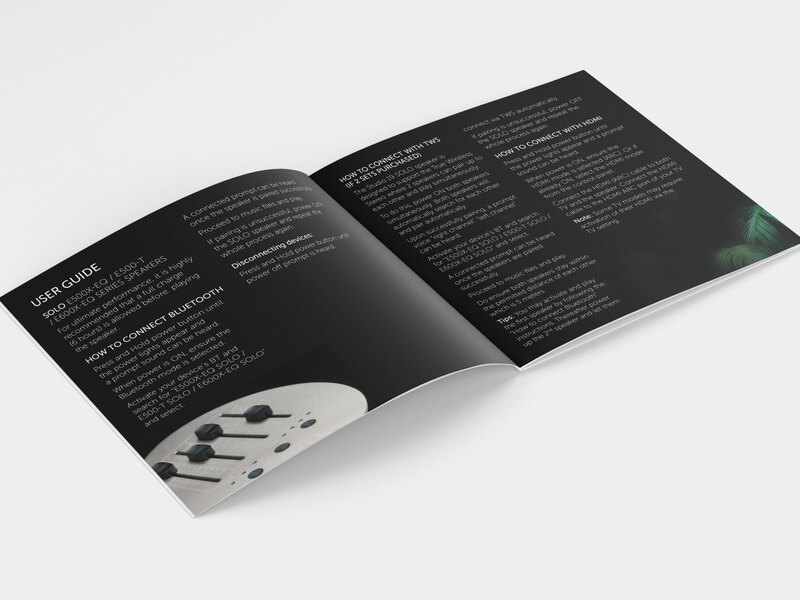 Following a brand workshop we collated our research and produced a compelling brand proposition that they could take to the global market. 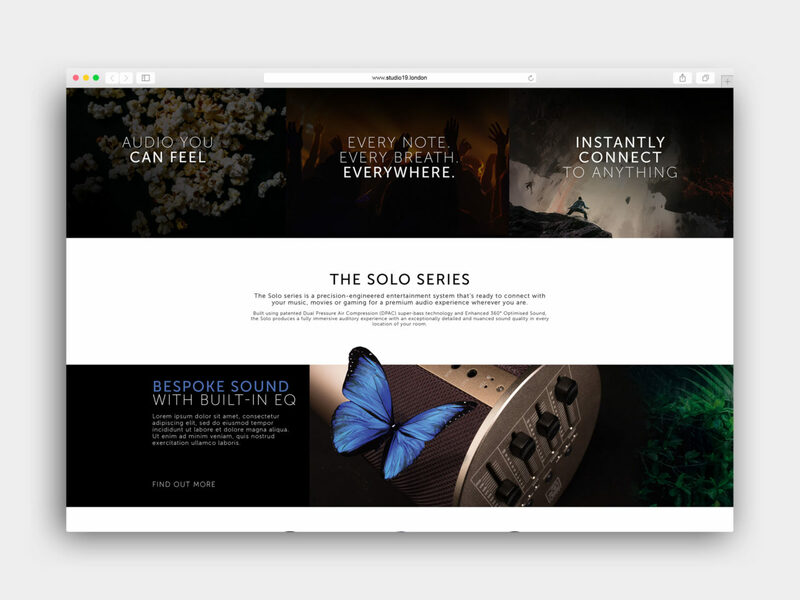 Our visual design takes inspiration from sounds you don’t always hear in the natural world. The patented sound technology and the sound clarity it delivers exceeds what the most respected brands in the world can deliver. We developed the positioning ‘Hear Everything’ and developed a nature theme to the visual direction to ensure Studio 19 stood out in a marketplace where brands are presenting themselves quite similarly. 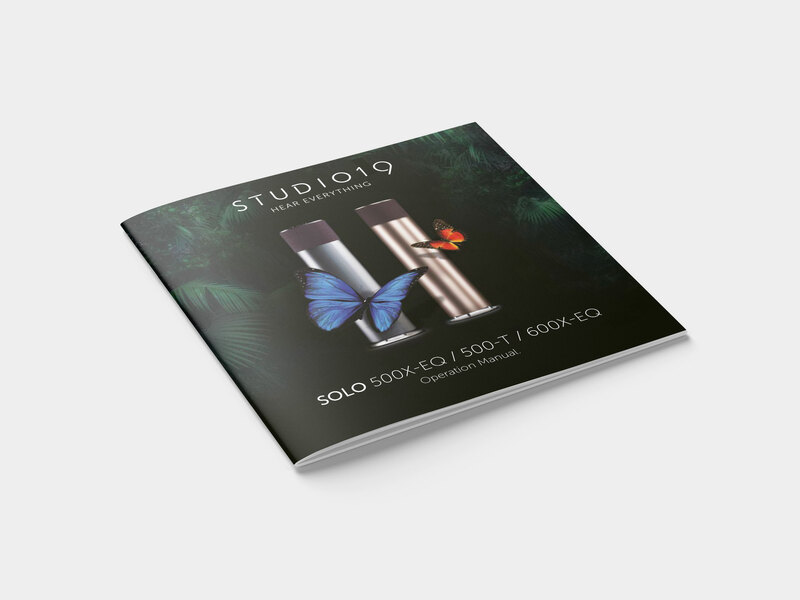 Our approach also reinforces the fact that the sound output of this product means you can actually hear everything, from a flap of a butterfly wing to a single droplet of water falling on grass. 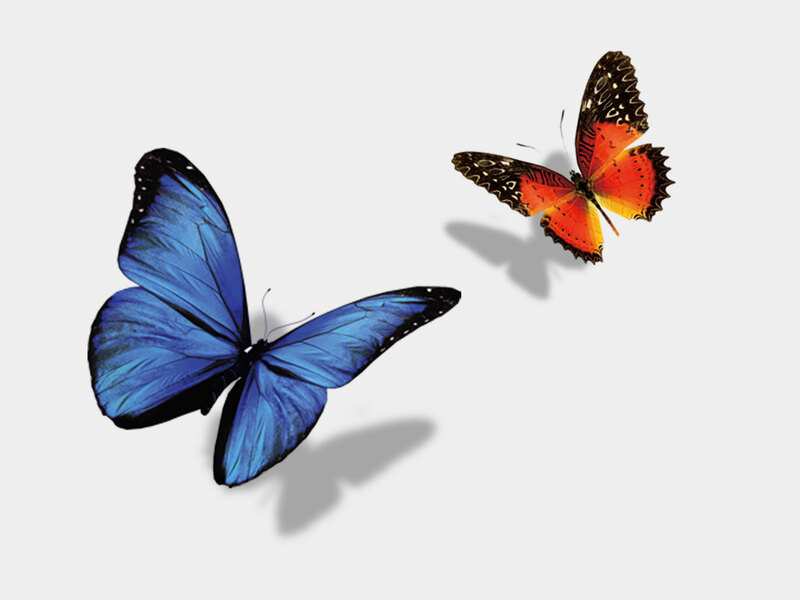 The colour palette was inspired by nature and the colourful butterfly. The hidden meaning within the image is the fact butterflies are diurnal. They only come out during the day, so seeing a butterfly at night is unexpected, just like the sound you’ll experience. The Studio 19 logo and iconography was inspired by the sound waves the cutting edge 360° sound technology expels. The product has already been launched in America, Australia, Holland and the UK with great success. 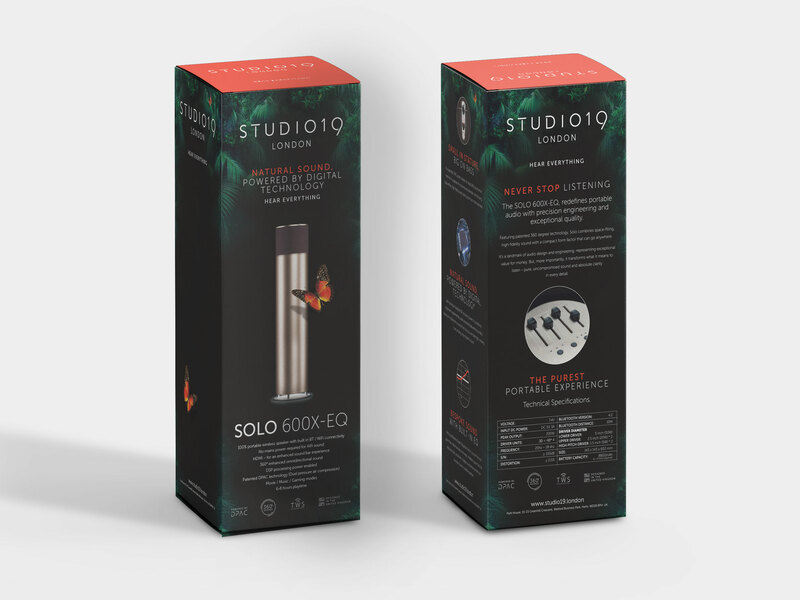 We look forward to supporting Studio 19 on their journey into other markets.